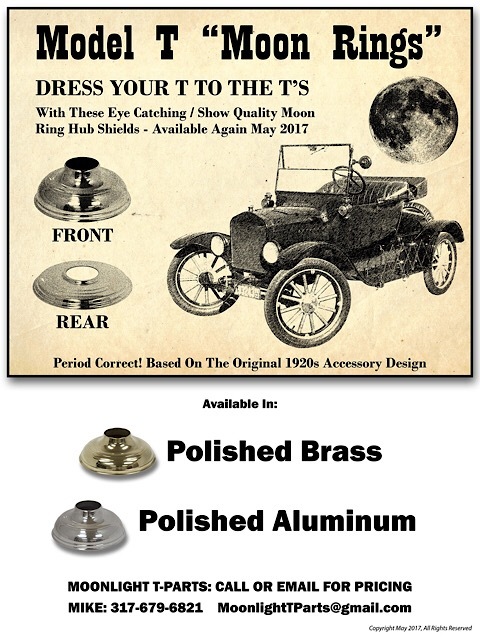 A vendor had them at the Model T Homecoming, but I don't remember which one. Sam, l had made some up from brass . I have 2 pairs left. I was not the vender at the homecoming. Call me Sunday if your interested after. 7 pm. I�m out of town until then. Tim Franko. 216-447-0437.